An offshoot of the Tohno family. However, despite being a branch family, their oni blood runs even thicker than the Tohno’s. Tohno Makihisa enlisted the aid of the current Kishima family head during his assault on the Nanayas. Although combustion is generally assumed to be Akiha’s power, she actually possesses the power of freezing. The power of scorching heat sleeps within the blood of the Kishimas, and it is said their family head will certainly become a Crimson Red Vermilion. The person that Nanaya Shiki met in that red meadow was in fact the Kishima family head. 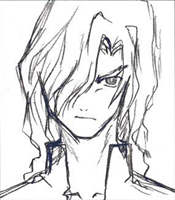 Despite being a branch family, their oni blood runs even thicker than the Tohno’s, and Tohno Makihisa enlisted the aid of the current Kishima family head during his assault on the Nanayas.